Can you tell me when flights from Denver will start please? Stay tuned. Once the non-stops from California are announced, we’ll know about their connecting service. Planning a trip mid April. Sacramento to HNL. How long should I holdoff buying tickets? Not sure if Sacramento will be in group of first flights, but we suspect it won’t be. Thus mid-April might not work unless you drive to Oakland. Hey there Beat of Hawaii. We have a condo booked in Maui for a week starting March 6th, is it safe to say SWA won’t make it that early, We can’t change it and have paid flight on hold until this Friday. We won’t know for another week or two. But if you’re asking for our gut call on this, the answer would be no, not that early. Typical is a bit out the window for this year. And not sure LAX will be on by then. We’d suggest just under $400 as the price target. Currently about $50 more. Flying on Saturday is making it higher of course. 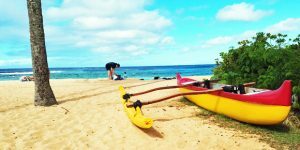 2) When will fares be announced to fly from Chicago to make connecting flight to the Big Island. I plan to fly sometime in Jan. 27, 2020 until Fed. 2 or 3, 2020 to meet and surprise my sons (arriving about that time), but I need to figure the cost so I can be sure my Southwest card will have enough room for the trip. Any and all information will be appreciated. 1. We don’t know how far in advance they can be booked. It certainly won’t be out to your dates for some time to come. They are currently booking through August 5, 2019 as an example. 2. That will be determined once flights are announced. Stay tuned with us as this is all revealed. Hopefully sooner than later. This (SW connecting flights to Hawaii) should all be revealed sooner than later. Hi Beat of Hawaii! Thanks for the updates. Wondering if you could please share your thoughts on the SWA timeline in light of the government re-opening? Will three weeks be enough time for them to do what needs to be done to fly by April? Any thoughts would be appreciated! Thanks. That’s certainly the question of the day. We hope they will start flying by late March – for spring break period. But no one knows where this piece is at, following reopening of the FAA. As soon as there is any news of substance, we will be updating this. I am flying to Honolulu from Tampa in May. I’ve been watching airfares with the normal airlines but have been waiting to see what Southwest will be offering. Will I be able to connect from Tampa in California to get to Honolulu? If not, I’ll not continue to wait for Southwest and book elsewhere. I thank you for your time and hope you have a wonderful week! We’re all waiting to see what Southwest will bring in terms of getting into the air, and how they will connect from non-gateway cities. Without red-eye flights, returning to Tampa will be impossible on Southwest unless you’re willing to spend the night in San Diego, given that it’s their only Hawaii gateway with a non-stop to Tampa. Delta via Atlanta, American via Dallas, United via Denver/Houston/San Francisco look to be better options. Delta and American even offer free meals in coach on their Dallas/Atlanta Hawaii flights. I think your prediction that Southwest won’t start Hawaii flights until June is too pessimistic, and contradicts the statement of the Southwest Chief Operating Officer two days ago. He stated that if the government shutdown ended within a week (it ended the next day) they would have a “reasonable chance” of beginning flights by the end of March. There was nothing in his or the CEO’s statements to indicate that if they receive their FAA approval by the first of March, they would still then wait an additional three months to start service. It makes little sense that they would intentionally delay three more months, considering the delays that have already occurred and that they have hired staff who are ready to work essentially now. It’s much more likely they will start service in late March or early April as long as the government continues to operate. with the government set to reopen, does this mean flights will be back on schedule to start in march-april? It looks like the government is back open for 3 weeks until February 15th! Do we know if this means they might be able to get any final approvals needed during this time to get the flights up and running by April? *fingers crossed*!! Wondering the same. We are going to Maui mid April and still have not booked flights waiting for Southwest. Would love to know if this 3 week window will be enough time to get them approval. It’s our only chance I think for an April flight. 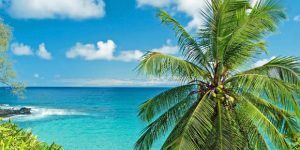 I am going to be flying with a party of 5 including 3 kids from Tampa FL to Honolulu on June 7th (Give or take a day for airfare pricing purposes), I fully understand that you don’t have a “Crystal Ball” but when would you recommend that we secure airfare? I was waiting for Southwest to up and running and am still willing to wait for them, but feel that I am going to be cutting it close. Southwest is at the mercy of the FAA and from what I read in your reports, the earliest that one could expect Southwest to be flying to Hawaii would be June. I fear if I wait to long I will be “up the creek without a paddle” and that is not the way to start a 15 year Wedding Anniversary trip! The government shutdown has been the best thing that could have happened for SW execs on this Hawaii fiasco. Now they can conveniently pass any and all blame for all their missed forecasts and delayed Hawaii dates on that. Doesn’t really help explain why they were falling behind quite nicely all on their own way before the shutdown even began, but that doesn’t make any difference now. It’s all the government’s fault from here on out. They’re probably praying they don’t actually open the government back up this week or they’re going to be right back to having to come up with other excuses for future delays. let’s say 6 year old. than any border state wall could ever be…. Do you tell your child of Santa Claus? The first lie parents tell their children, along with the admonishment that if you are good you get a present and if you are bad you get coal? SW execs are being paid well north of six figures to get this done. So far their performance is less than impressive. Thanks for all the updates. We will cross our fingers that SWA will eventually get into the air and actually head towards Hawaii. Sure hope it happens sooner rather than later. 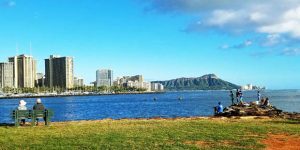 SW employees reported to both Honolulu and Maui on January 22, 2019. There are approximately 32 employees at each station. I love your publication. You guys cover all the bases. How often do you update southwest to Hawaii? Should I check in every day ? 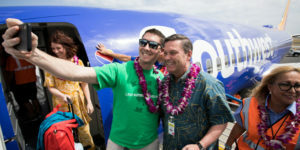 Will the Hawaiian airports be installing barriers at the end of the runways before Southwest starts flying to Hawaii? I’m not the type to write comments but want to let you know that you have had the best coverage and information regarding SW to Hawaii. Quite impressive. Thanks for keeping us locals updated. So i’m wondering if I am the only one who will stop what they are doing the second a Beat of Hawaii email comes in or posts wondering if this the big announcement??? 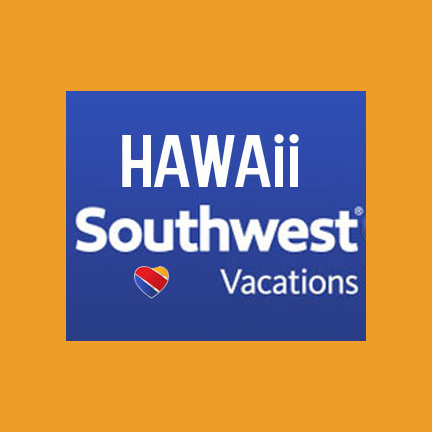 Come on Southwest…mama needs a Hawaiian vacay! !